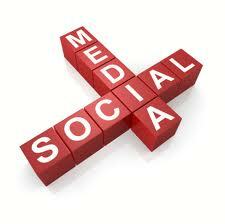 Just How Social Can Social Media Be? Facebook, Linkedin, and Twitter adds are adding up! A recent study shows that in our group, or “tribe” if you will, we can only handle up to 150 connections without our brains getting stressed by too much contact. The tribes that we organized ourselves in to all over the world and during much of human history have stayed close to 150 – now these tribes have moved to online communities. This number does not include re-posting and re-tweeting with others but actual engagement with back-and-fourth conversa tions. How many connections do you have? Would you call these people your friends? Of course, you may add these people to your network but only choose to stay in close contact with a select few. This is what social media has allowed us to do, chose who we want to interact with. It should also be pointed out that we have also chosen who we want to ignore by blocking and declining those that we want to avoid. Don’t lie, I know you have ignored friend requests from that annoying co-worker, random people you met in line at the grocery store, or a friend of a friend who you have only met once. I have 209 connections on Facebook and 154 connections on LinkedIn. On Twitter I am following 746 people and/or companies, and I have 365 following me. That is a lot of connections! I am very conscious to only add people I know and are familiar with on LinkedIn because of its purpose as a professional social media outlet. However to obtain a meaningful relationship with the folks I am connected to, I am about 59 over what I should be on Facebook connections and 4 over on LinkedIn. The author of this article, Chris Taylor (he works for Mashable; if you haven’t checked it out you should), predicts social media taking this number into consideration in the future and limiting your network to 150 connections thus, “making the resulting interaction all the more worthwhile.” For now, Taylor says keeping your network small is for the better and will allow these the relationships to remain meaningful. But if you are one of those who want to increase your numbers, then by all means add the annoying co-worker!